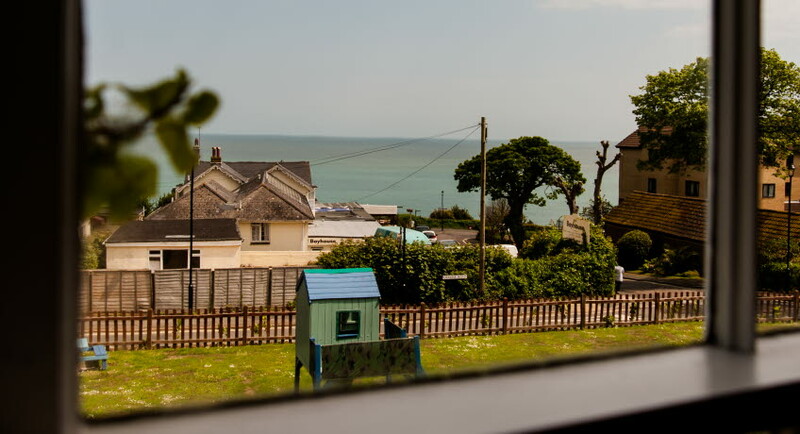 A four-star villa awaits you in the beautiful area of Shanklin, with stunning views, private patio and outdoor hot tubs. 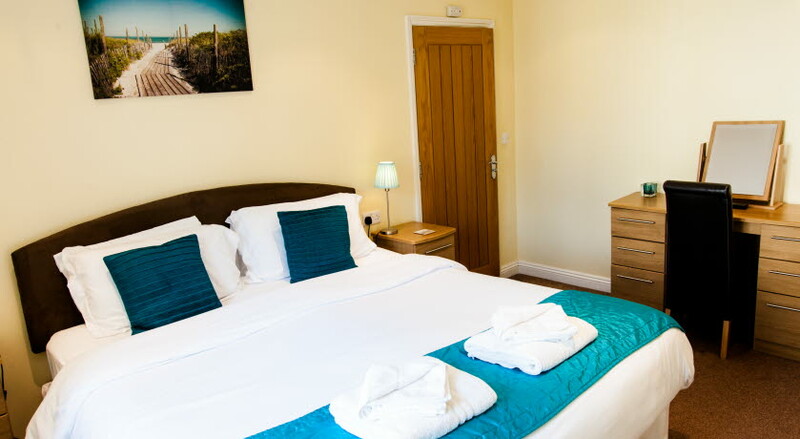 Guests can expect exquisitely decorated and spacious rooms, complete with amenities and all within close proximity to Shanklin Old Village and the Island’s most popular attractions. 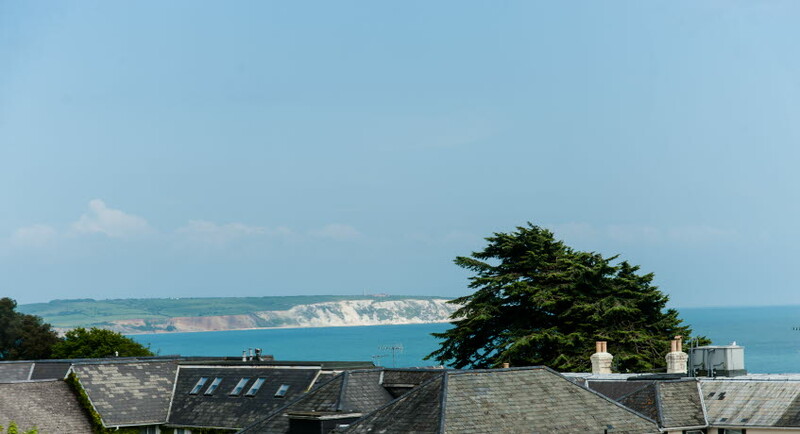 Shanklin Villa Apartments have a fabulous central sea facing location which has been skillfully and stylishly converted within what was once a prestigious Victorian Villa. 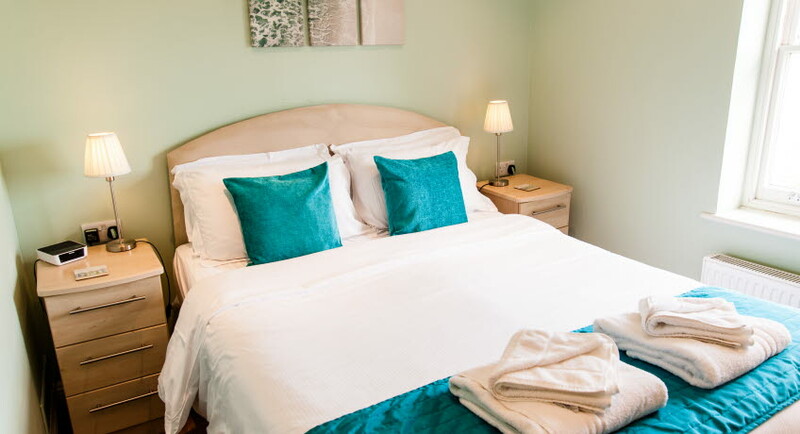 The eight luxury apartments are varied in size and all provide a fresh and contemporary environment where guests can fully unwind and relax in comfort. Located near the cliff top at Shanklin, it is only a short stroll to the beach and Shanklin Old Village and the many attractions the Island has to offer are easily accessible. 4 & 5 star Self Catering Accommodation. 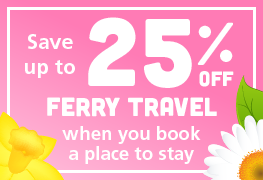 Guests can choose from 4 bedroom, 3 bedroom, 1 bedroom or studio apartments. 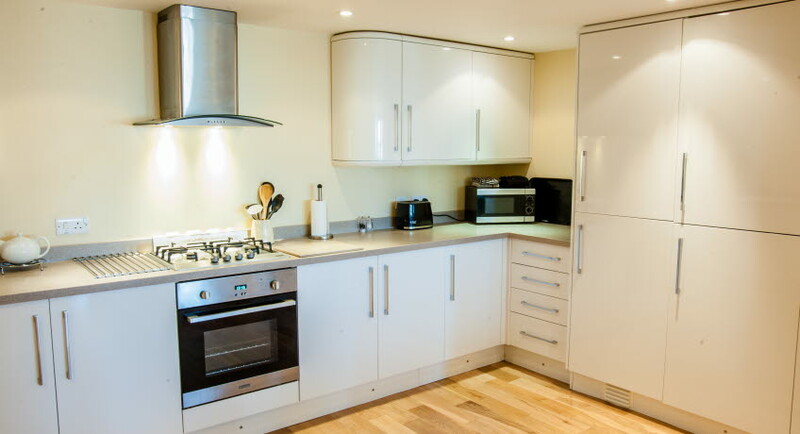 All are fitted with a high spec kitchen including dishwasher and combined washing machine and tumble dryer as standard. The 3 and 4 bedroom units have private patios and outdoor hot tubs. The smaller units have shared use of a lawned area that includes a children's play area, 6 person hot tub and benches. Freeview TV. Bed linen included. Gas and Electric included. 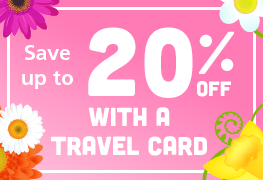 Free unlimited use of all the leisure facilities at nearby Luccombe Hall and Luccombe Manor Hotels. Private car parking. 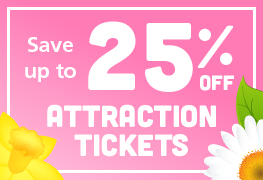 Children of all ages welcome. Pets not accepted. 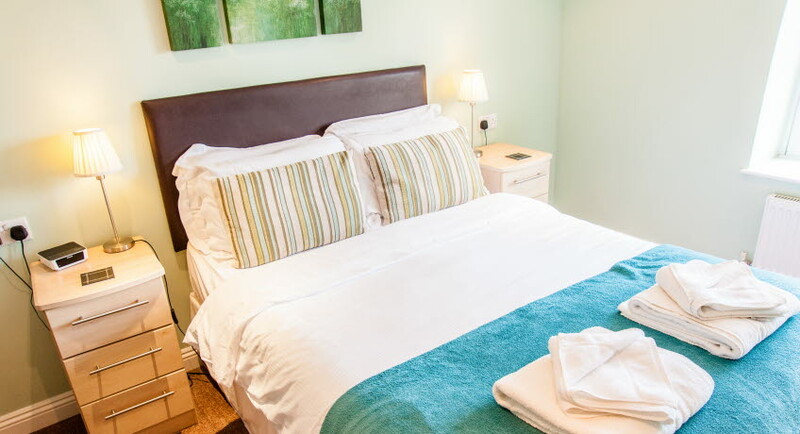 Open: all year | Minimum number of nights: 2 nights Fri-Sun, 3 nights Fri-Mon, 4 nights Mon-Fri, 7 nights can start any day except during 19 July - 2 September when Fri-Fri for Cromwell & Cadogan, Sat-Sat for Mountbatten & Beatrice, Sun-Sun for Eversley & Battenburg, Mon-Mon for Montagu & Worsley. Some apartments may be suitable for people with mobility problems - please enquire at time of booking. 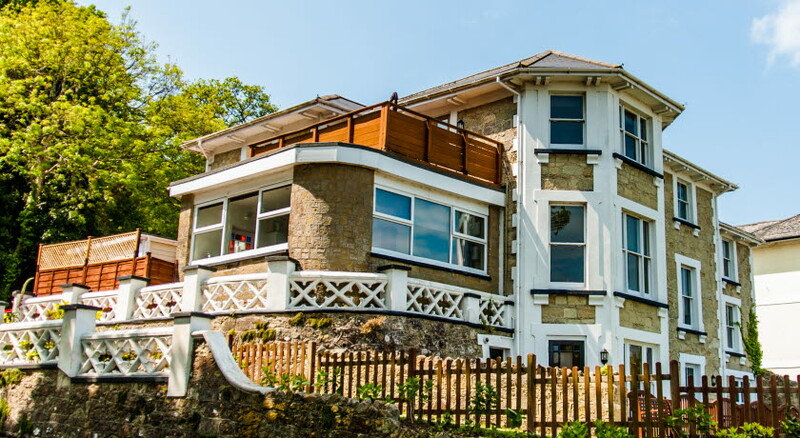 Shanklin Villa Apartments Address: 6 Chine Avenue, Shanklin, Isle of Wight, PO37 6AG. 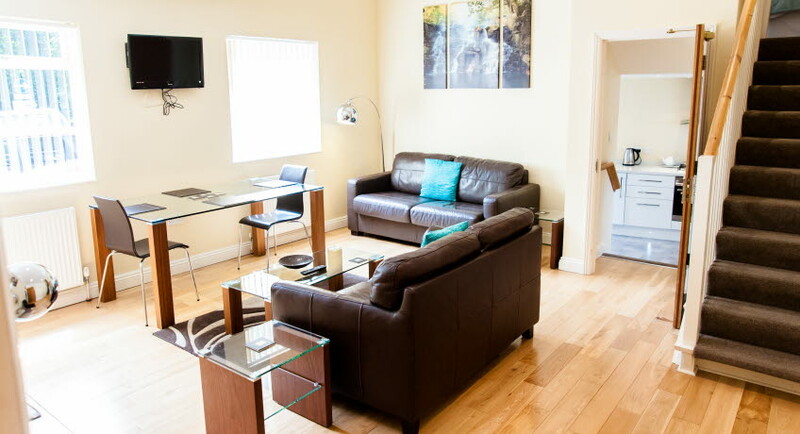 Located on the ground floor this studio apartment can accommodate 2 people. Lounge/diner with kitchen area with gas oven and hob, fridge with freezer compartment, dishwasher and washer/dryer. 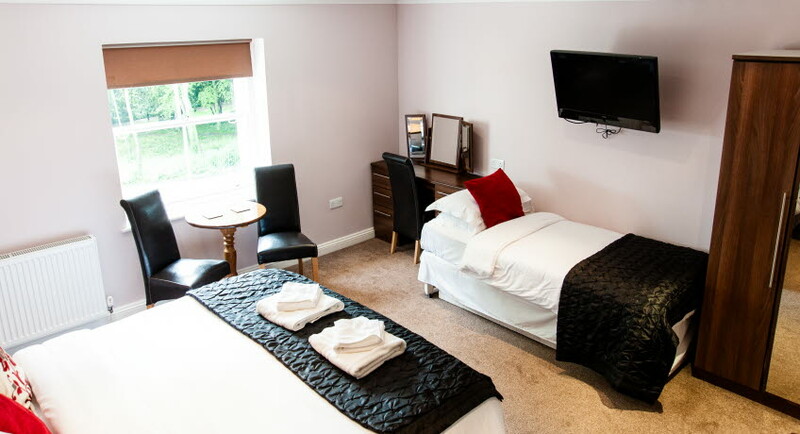 Bedroom area is adjacent to the lounge with double bed and ensuite wet room. Disabled access available. A first floor studio apartment with sea views. Bed/sitting room with double bed. 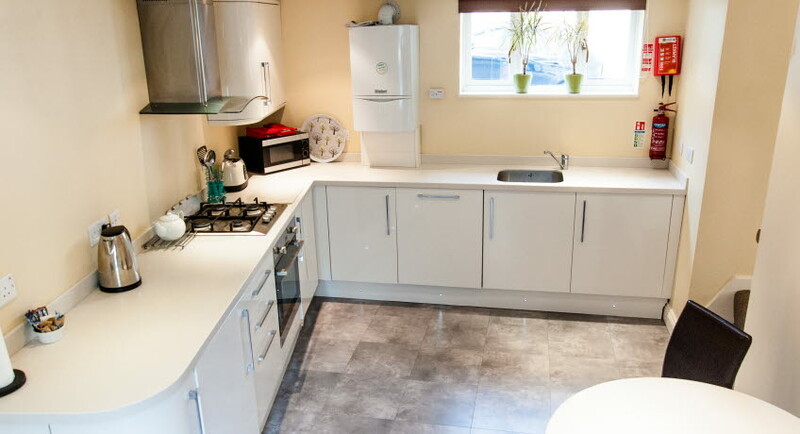 Kitchen area has dishwasher, fridge with freezer compartment, gas oven and hob and microwave. Hallway with washer/dryer. Shower room with corner shower. 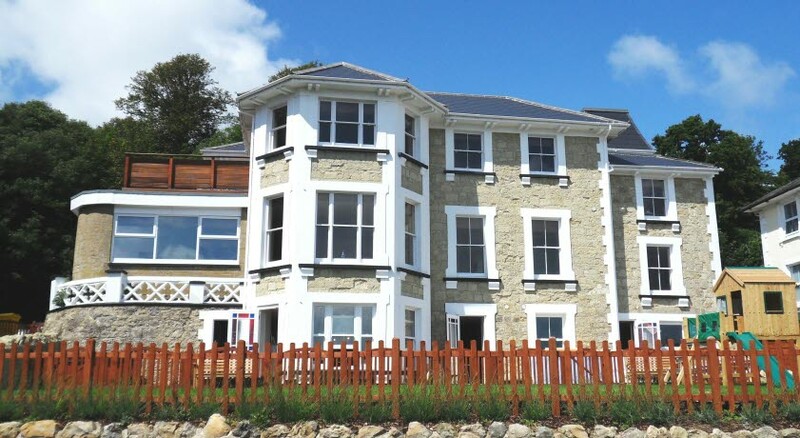 Upper ground floor sea facing apartment with superking size bed with ensuite large shower. Lounge/diner. Kitchen with dishwasher, fridge with freezer compartment, gas oven and hob and microwave. Hallway (with 3 steps) with combined washer/dryer. Luxury spacious 3 bedroom apartment on the first floor. 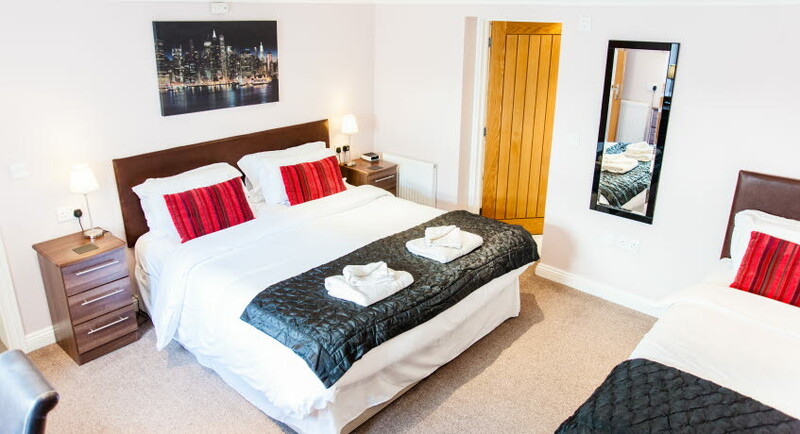 Master bedroom with kingsize double bed and ensuite bathroom with double spa bath, large separate shower and twin vanity unit and a guest bed option for sleeping 1-2 children. 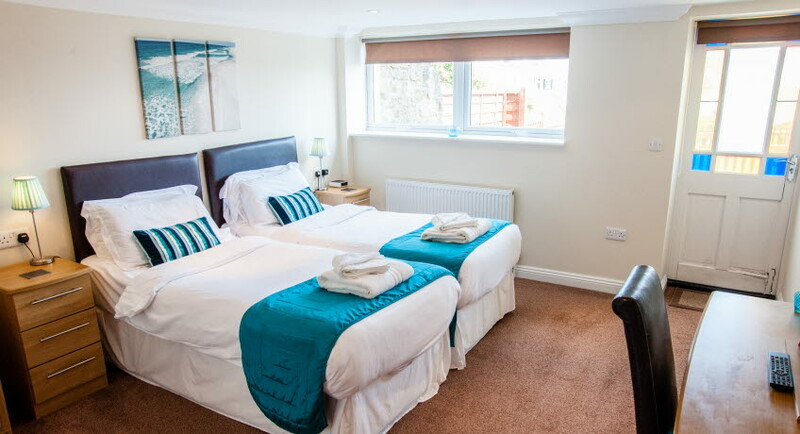 Bedroom 2 with kingsize bed and bedroom 3 with double bed, both with sea views and an adjacent shower room with corner shower. Large lounge/diner with breathtaking sea views and a double sofa bed. 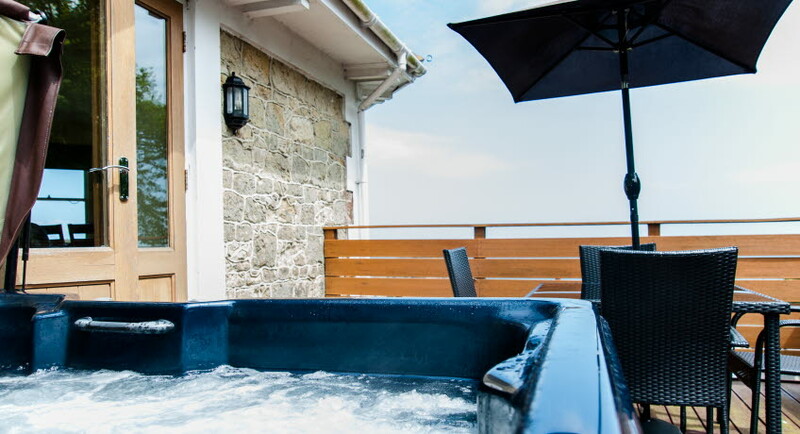 Double doors lead onto your own private decked roof terrace with 6 person hot tub, sun beds and sea views. Kitchen with dishwasher, combined washer/dryer, fridge/freezer, gas oven and hob and microwave. 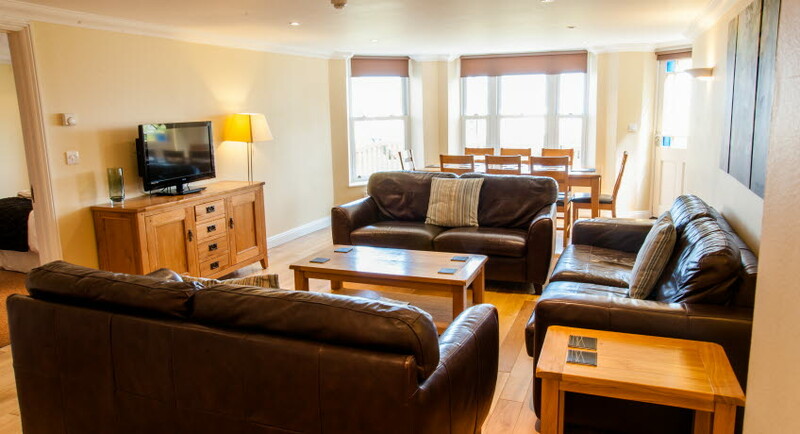 A luxurious 4 bedroom apartment, providing accommodation for 6 + 2 people with private roof terrace and 6 person hot tub. 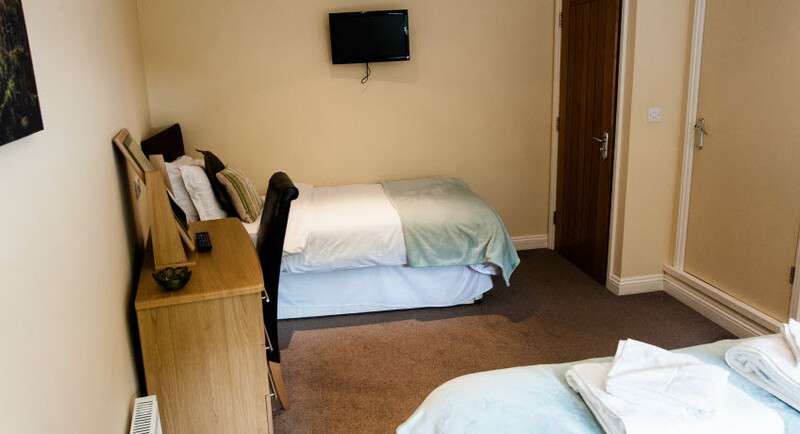 The apartment is located on the first and second floors with en suite to 3 of the bedrooms. Master bedroom on the second floor is spacious with super king size bed with en suite bathroom with a corner spa bath and shower. Bedroom 2 on the second floor has king size double bed with en suite shower room. Bedroom 3 on the first floor with double bed and en suite shower room. Bedroom 4 is located on the first floor and can accommodate 1 or 2 children in bunk beds and has an adjacent cloakroom with WC and wash basin. Kitchen/diner with dishwasher, washer/dryer, fridge, freezer, gas oven and hob and microwave. Hallway - offers direct access to your own very large, south facing decked roof patio with hot tub, sun loungers, tables and chairs. 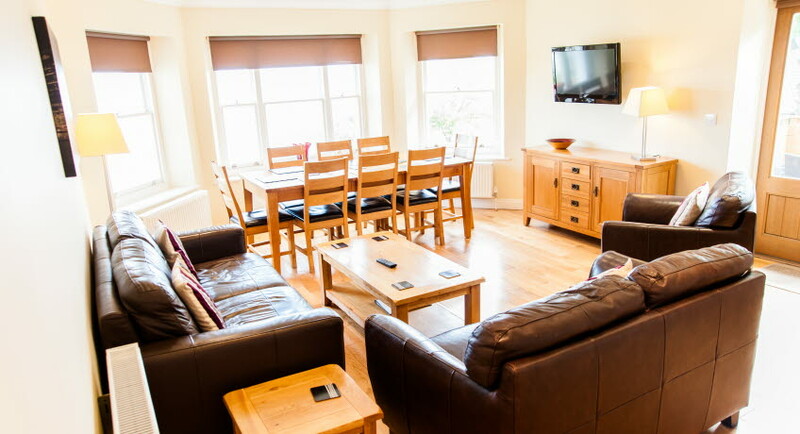 Large luxurious and spacious 3 bedroom apartment on the upper ground floor with your own private outdoor 5 person hot tub. Master bedroom - with super king size double bed, en suite spa bath with shower and twin vanity basins, a guest bed option for sleeping 1-2 children. 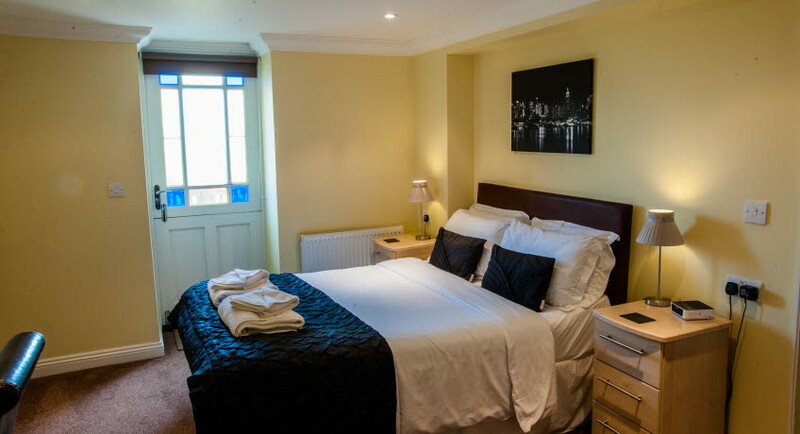 Bedrooms 2 and 3 have double beds and sea views with adjacent shower room with corner shower. Large lounge. Kitchen/diner has sea views and access to the private patio and hot tub. 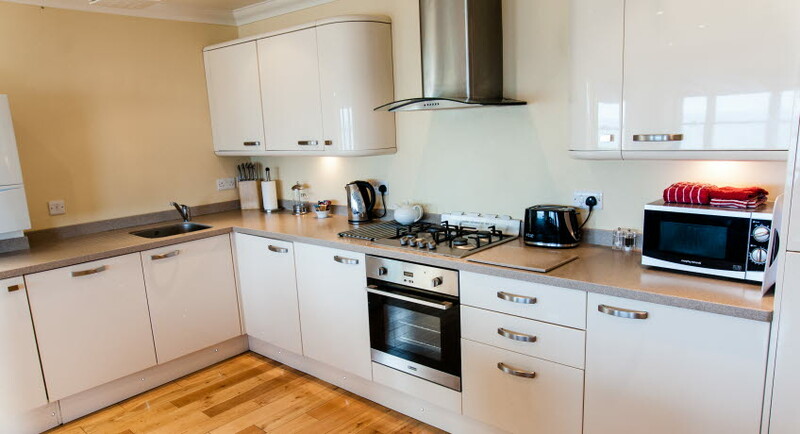 Kitchen includes dishwasher, washer/dryer, fridge, freezer, gas oven and hob and microwave. 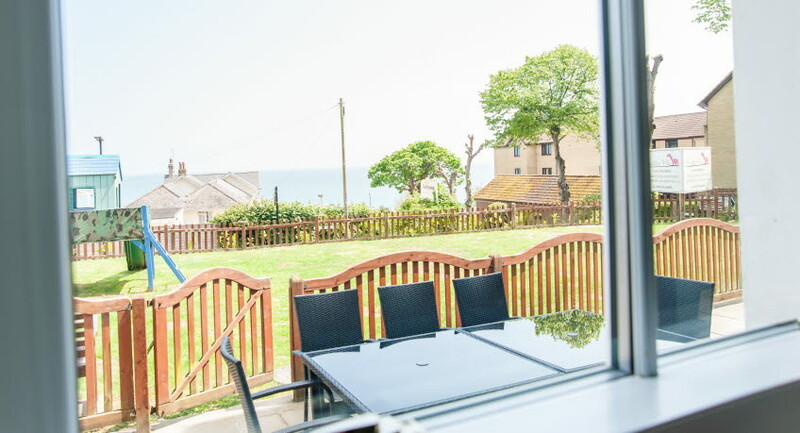 Garden level sea facing apartment offers 4 bedrooms, all ensuite, with private courtyard, patio and outdoor 6 person hot tub. Master bedroom with super king size bed, corner spa bath with shower, guest bed (for 1-2 children) with view of private courtyard. Bedroom 2 has twin beds, corner bath with shower, direct access to private patio and hot tub. Bedroom 3 has king size bed with corner shower and view to private patio and sea. 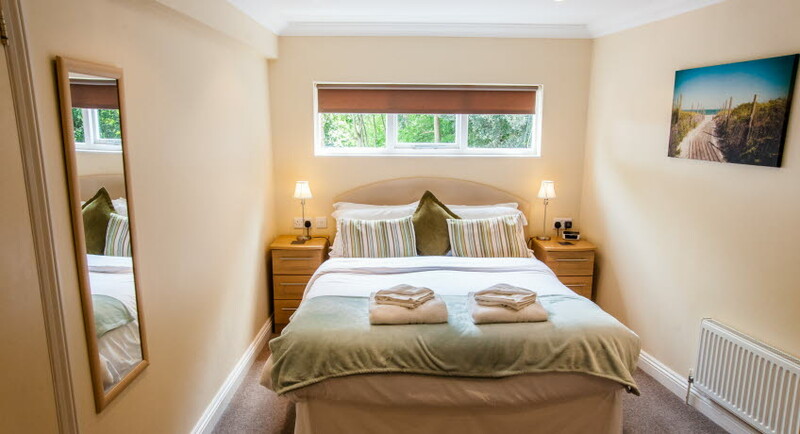 Bedroom 4 with king size double bed with corner shower and direct access to private patio and hot tub. Large lounge/diner. Large bay window offering breathtaking views of the sea and private patio. Access to your own private patio and 6 person hot tub. 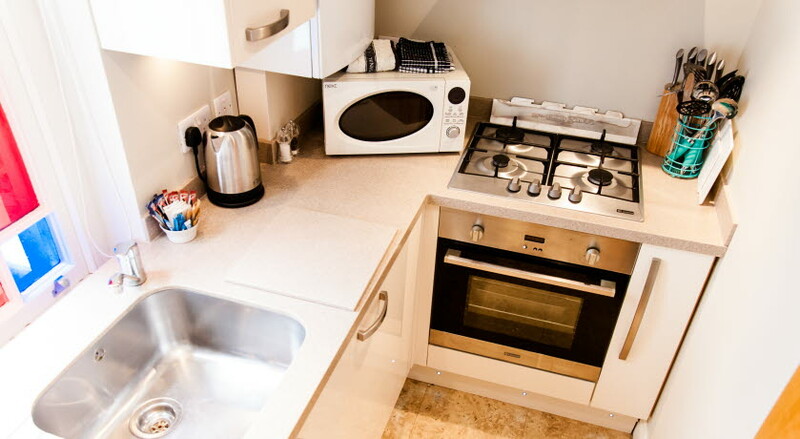 Kitchen area includes dishwasher, washer/dryer, fridge, freezer, gas oven and hob and microwave. Ground floor apartment with one bedroom and direct access to the car park. 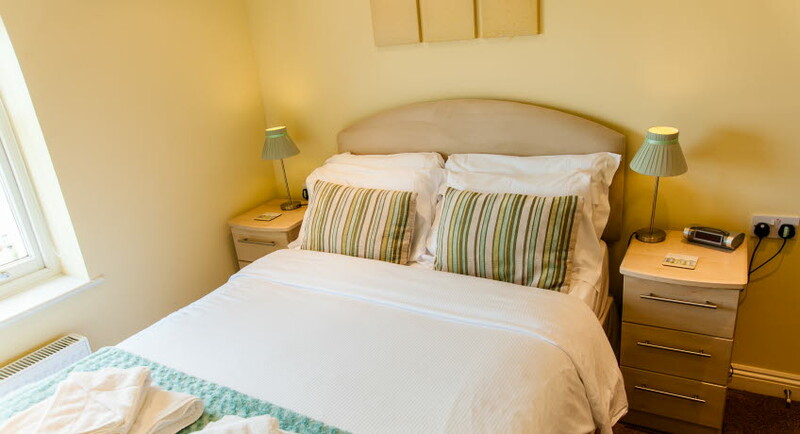 Master bedroom is on a mezzanine floor, with king size double bed and guest bed option for sleeping 1 child. Lounge/diner. Shower room with large shower located off the lounge. Kitchen with dishwasher, washer/dryer, fridge with freezer compartment, gas oven and hob and microwave. 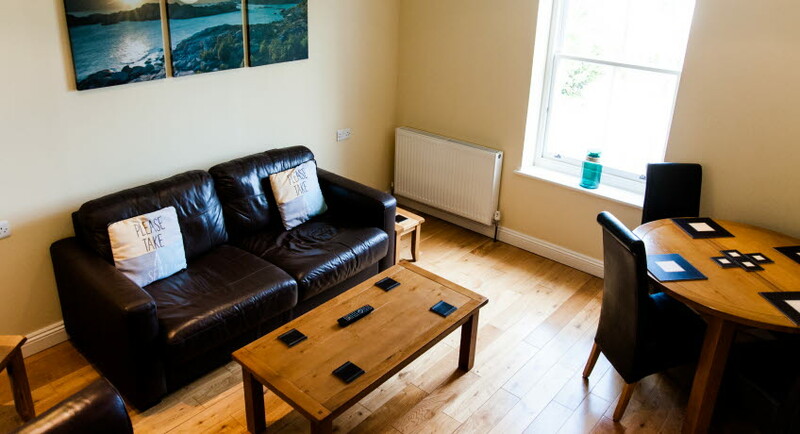 All apartments have access to the communal garden with a lawned area including childrens play area and 6 person hot tub and benches. 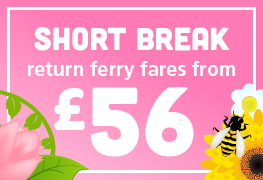 Bed linen, gas and electricity are included.